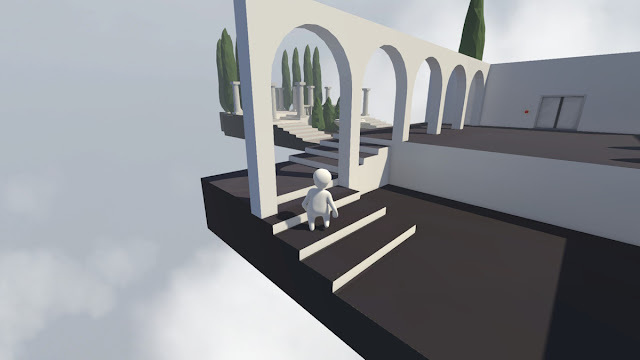 Almost like a game about a porcelain doll, Human: Fall Flat lets you take control over a character with a bright white, flat textured body. Comparing the character with a fragile emotionless object is an apt description in what the game wants to achieve, too. Related reading: Octodad is really the forerunner in this "genre." Our full review. The character is a blank canvas which you will want to draw on like a child finding themselves in art class for the first time, and it is simplicity at its best, which gives the game more personality than you might have expected going in to a game with such a blank canvas for a character. 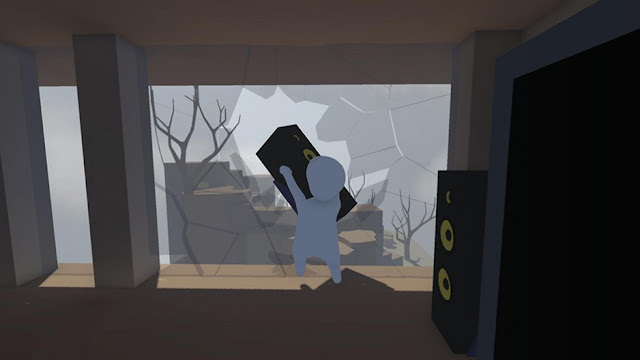 Human: Fall Flat is a physics based puzzler in which Bob, the protagonist that the doll is a manifestation of, is experiencing bizarre landscapes in his dreams. His constant fear of falling has manifested into a surreal set of puzzles that you have to navigate him through. Oddly enough, the game is an oddly muted expression of the surrealist art style, when in video games we’re used to this aesthetic being taken to the extreme, but there is nonetheless a lovely dreamlike quality to the experience. The game contains a variety of objects that can be pushed, pulled or thrown. 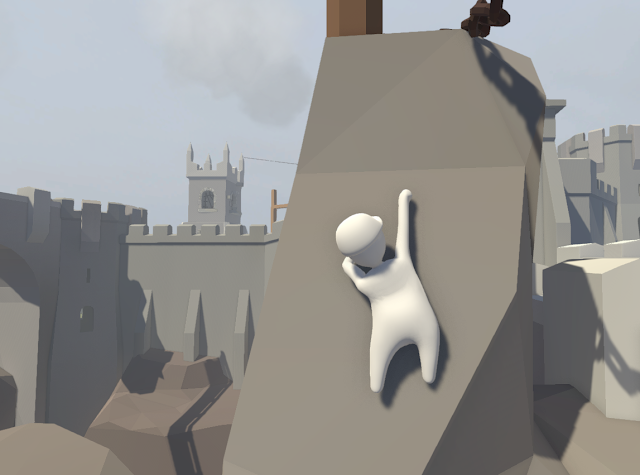 Human: Fall Flat is very good at achieving what you would expect from a physics-based game, to the point where at times it can almost feel too much like where it has been rung in, and the developers were working through a dry checklist. But it does it well, and the puzzles flow organically to marry with the visual style. 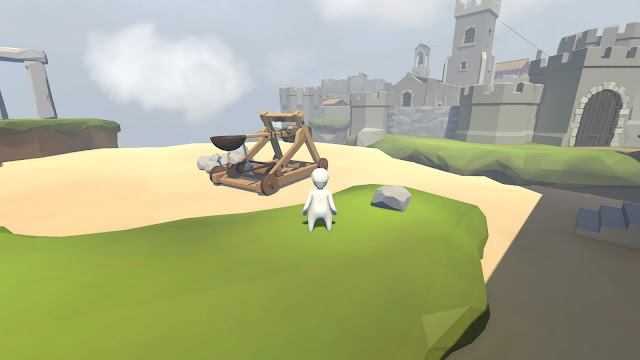 In the later levels, Human: Fall Flat presents players with interesting mechanics, such as rolling barrels down a slide, rowing a boat, and, my personal favourite, a catapult in the castle level. Unfortunately, a major issue crops up soon enough, which I find to be an interest in most games that base themselves so heavily on physics engines; the character feels too much like a beanbag with no limbs, resulting in many moves not doing what you might expect them to. For example, at one stage I got myself comfortable with the way the game was playing. I navigated around a little map, completed a simple puzzle, and was generally in a good mood. 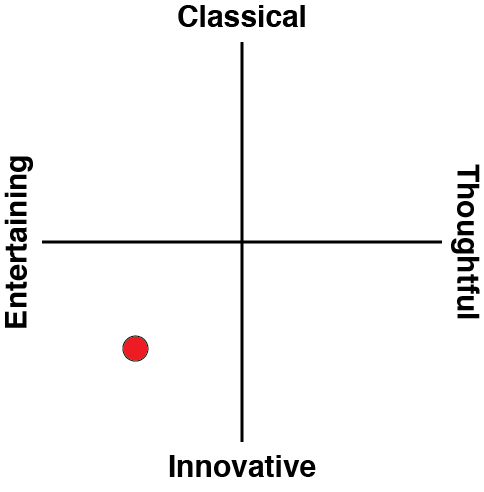 I felt like I had a rhythmic understanding of the mechanics. However, all that changed when I landed in a new, much bigger level. What I was presented with there looked deceivingly easy. It was a nice rocky landscape across which my character jumped over gaps to slowly make his way up a mountain. I might have fallen a few times and begrudgingly stumbled back to where I was, but that was okay, I was still immersed within the rhythms of the game, and I still had a smile despite the mistakes I was making. However, went I got deep into level I was introduced to a new mechanic; I had to start climbing. That in itself seemed easy, as, for the first few steps, I could still cheat and jump over the small climbs instead. But then I then found myself face to face with something just a little higher than my character could leap. Now I had to do what the game wanted me to. I clicked on the tutorial video icon and my mind exploded. The suddenly complexity in performing a movement with the character was a shocking realisation that this game wasn’t what I was expecting it to be. It stopped being fun in the space, and the rhythms of the game were lost. I spent more time overcoming each challenge and my smile disappeared. Imagine The Legend of Zelda: Ocarina of Time. Think of that early part of the game where you’re stumbling around the castle in trying to reach Princess Zelda, and instead of that simple puzzle that involved moving a crate about, you instead abruptly came to a multi-layered, complex beast of a thing that you’d expect to find at the end of a sokuban game. Only with controls that required about ten dozen different inputs to move each crate. The abrupt complexity is similar to the wall you run into when playing Human. Despite this I found myself enjoying the little touches in this game. There’s a good sense of humour about it all, and it’s really, really well presented. 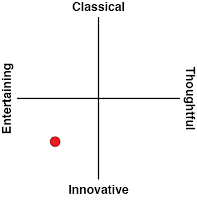 I also enjoyed the variety in the level themes. After the mountain level the game continues to expand out and, notwithstanding the controls, the design of these puzzles became much more interesting, layered, and nuances. You’ll take your time solving the lot of them, extending the longevity of Human, even though the number of environments might seem low initially. Games like Octodad show that it is possible to make unwieldy controls amusing. Other titles, like Surgeon Simulator, deliberately try to be as clumsy and frustrating as possible as a thematic feature. But Bob here simply struggles to convince players that he’s worth the work. There’s some theming in there that will appeal to the arthouse community, thanks to the surrealist edge and character design, but it’s a real stretch to call this one masterful in its arthouse credential; there are other surrealist adventures like Daydreamer that really show why surrealism exists, and this one is playing things safe by comparison. Ultimately, it’s a little difficult to really understand what the developer was aiming for here. It seems more like it was a project from someone who was simply inspired by the entertainment value of stuff like Octodad than a game that is really looking to break out with its own identity. The potential’s there, but it’s all a little to raw for its own good.